Choosing the right law firm matters. Be smart. Do your homework. At Blume Forte Fried Zerres & Molinari, our attorneys have several decades worth of combined experience representing injured clients in a wide range of New Jersey personal injury litigation, from motor vehicle accident claims, wrongful death lawsuits, premises liability cases, and slip-and-fall accidents to burn injuries, medical malpractice, product defect matters, and much more. We are well-equipped to handle your claims from beginning to end of the litigation process and we have the requisite background and skill set necessary to successfully negotiate a settlement or pursue trial litigation. The attorneys here at Blume Forte Fried Zerres & Molinari pride themselves on providing high-quality, client-oriented legal representation. During the initial client engagement process, we perform a thorough evaluation of the underlying claims and determine the potential for success in litigation. We are committed to open, honest, and transparent legal representation, and, as such, we only proceed with litigation when your claims are legitimate and are reasonably well supported by the evidence. Though the barrier to entry is somewhat high, you’ll find that this process empowers our attorneys to advocate aggressively on your behalf and help you receive substantial compensation for your various injuries. Many competitor personal injury firms in NJ assert that they are capable of successfully litigating your various injury claims, but few have the track record to prove it. Here at Blume Forte Fried Zerres & Molinari, we have secured more multi-million dollar settlements and verdicts than any other New Jersey personal injury firm. In just the past five years, for example, and only counting settlements and verdicts in excess of $350,000, we have obtained more than $320 million for our clients, in addition to tens of millions of dollars obtained for our clients in less significant litigation. In recent years, we have secured settlements and verdicts of up to $46.7 million at the high end. 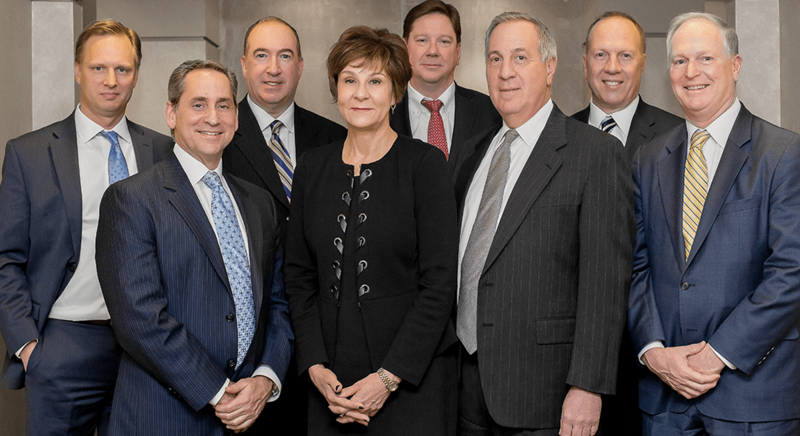 Founded in 1929 by Charles Blume, our firm has grown to encompass dozens of staff and four locations throughout the state: Chatham, Jersey City, North Bergen, and Sea Girt. With such an illustrious history, our firm survives and thrives on the basis of our longstanding reputation as able legal advocates. 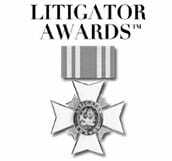 Our attorneys have earned numerous accolades, being variously named Super Lawyers and among The Best Lawyers in America, AV-rated by Martindale-Hubbell, and receiving multiple Litigation Achievement awards. 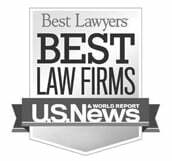 The firm as a whole has been named among the Best Law Firms in New Jersey in 2010, 2014, 2015, 2016, and 2017. Moreover, we received a Tier 1 ranking in a diverse array of personal injury practice areas, including medical malpractice and product liability. If you have been injured due to the negligence, recklessness, or intentional acts of another, it’s critical that you consult with a qualified New Jersey attorney as soon as possible. Failure to pursue your injury claims in a timely manner may result in you losing your entitlement to litigate such claims in a court of law and may therefore prevent you from recovering compensation. At Blume Forte Fried Zerres & Molinari, we offer our clients a free consultation – during which we evaluate their various claims and answer any questions they may have. If you were involved in an accident and suffered a personal injury, our skilled attorneys will give you a voice and help you get financially compensated. Medical malpractice, doctor misdiagnoses, and hospital negligence can make a bad situation even worse, resulting in life-threatening injuries and illnesses. If you were hurt in a car accident, truck accident, or motorcycle accident, our experienced personal injury lawyers can help you get the compensation you deserve. If you were hurt at a construction site or any other type of workplace, we can help you determine the liable parties and file personal injury claims for damages. Hurt on someone else’s property? We can help you seek compensation from negligent property owners who failed to keep their premises safe for visitors. Manufacturers and designers of defective products need to be held accountable when their product causes serious injuries to a consumer.